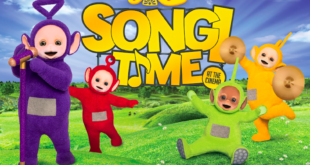 Firm to launch range of picture, activity and novelty books in summer 2015. 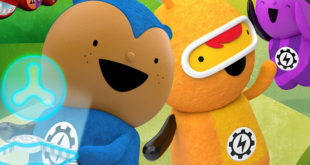 Penguin has scooped the publishing rights to new pre-school show Hey Duggee. 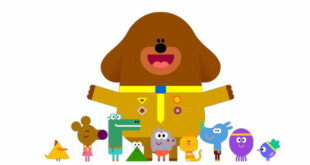 Debuting on CBeebies early next year, Hey Duggee is based around a children’s playgroup called The Squirrel Club run by a big friendly dog called Duggee. In the playgroup, children have adventures and earn badges for their accomplishments and Duggee teaches them about being responsible, working as a team and most importantly having fun. The 52-part series enlists the warmth and charm of highly popular BBC One comedian Alexander Armstrong who narrates the series alongside a cast of children who voice the main roles. Hey Duggee began with a special Christmas episode on 17th December 17th on CBeebies and the series will launch in January 2015. Penguin will publish under the Ladybird imprint in summer 2015. The range will be aimed at three to six year olds and include a range of picture, activity and novelty books. Juliet Matthews, Publishing Director at Penguin Children’s, said: "As soon as we saw Hey Duggee we knew that we had to publish it. It is visually captivating and there is nothing quite like it on the pre-school market at the moment." Nicholas Brett, director of UK publishing at BBC Worldwide, added: "The Penguin Publishing Plan is a welcome addition to a growing portfolio of licensing partners for this exciting new brand. "Adding to Golden Bear as master toy licensee we’re very excited to see how Penguin will represent the world of Hey Duggee off-air. Hey Duggee offers a treasure trove of adventures and we’re thrilled to begin the creation of some fantastic new lines and digital offerings to take young fans enjoyment of the show even further."